Anees Bazmee’s comic caper, Mubarakan is having a steady run at the Box Office, with the film crossing the Rs 50 crore mark in its third weekend. The Arjun Kapoor – Anil Kapoor film is now looking to end its run at collections above Rs 55 crore, which is pretty good given its poor start at the Box Office. The film underperformed on its opening day fetching Rs 5 crore. Had it collected Rs 8 crore, which was an expected start, it would have given out a fair result. After a poor start, the biz escalated with every passing day with a positive word of mouth among the target audience. Apart from a jump in collections on the weekend, the film was stable on the weekdays as well. 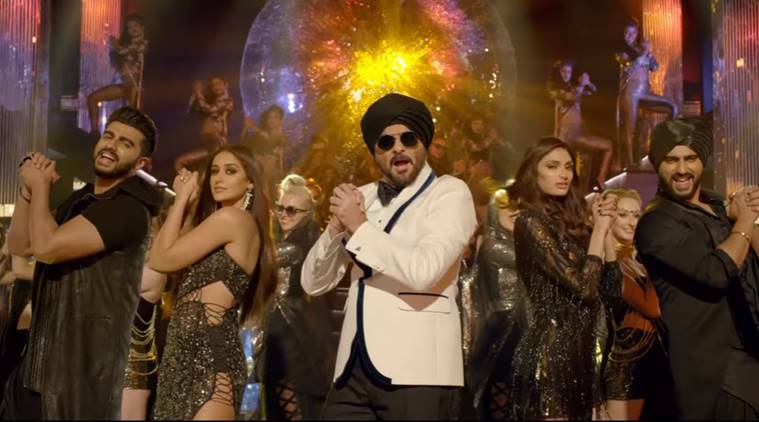 Though Mubarakan faced competition from Jab Harry Met Sejal in its second week, the film stood tall against the Shah Rukh Khan-starrer and recorded the sixth biggest second-week collections (Rs 12.75 crore) of the year. The collections, however, would have fared much better had it not faced a tough competition in the second week, as Shah Rukh Khan’s romantic comedy, Jab Harry Met Sejal took away a large number of screens from Mubarakan. Even in its third weekend, Mubarakan has done fairly well, despite competition from Toilet: Ek Prem Katha, fetching collections around Rs 3.50 crore. What seemed like an outright flop on its opening day, made ground by consistently trending well. 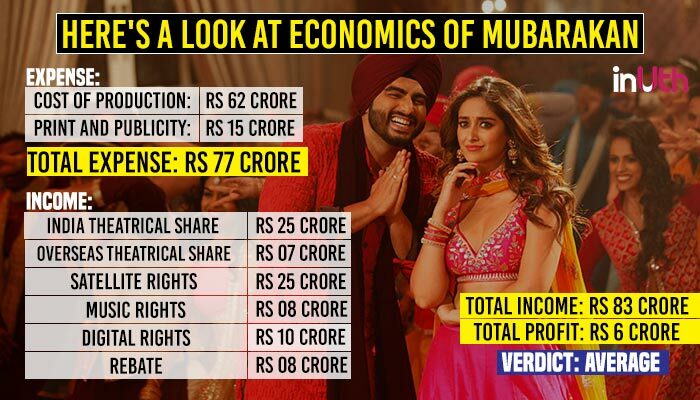 While Mubarakan didn’t turn out to be a huge profit maker for the producers, they managed to break even and earned a profit in the range of Rs 4 to 5 crore. Though the film turned out to be an average grosser at the Box Office, given TV’s wide scope, it is bound to fetch good ratings upon its premiere on TV. The film was made at a budget of Rs 69 crore, however, the producers, Sony Pictures got Rs 8 crore as a rebate from the UK Government.